La Mercè is Barcelona’s annual festival held in celebration of its patron saint, Mare de Déu de la Mercè (the Virgin of Mercy). The tradition dates to 1687, when the governing Consell de Cent (Council of One Hundred) credited her with saving the city from a locust plague and named her as the city’s patron (alongside Santa Eulàlia). Festivities are held in the days leading up to the Roman Catholic feast day of September 24th. 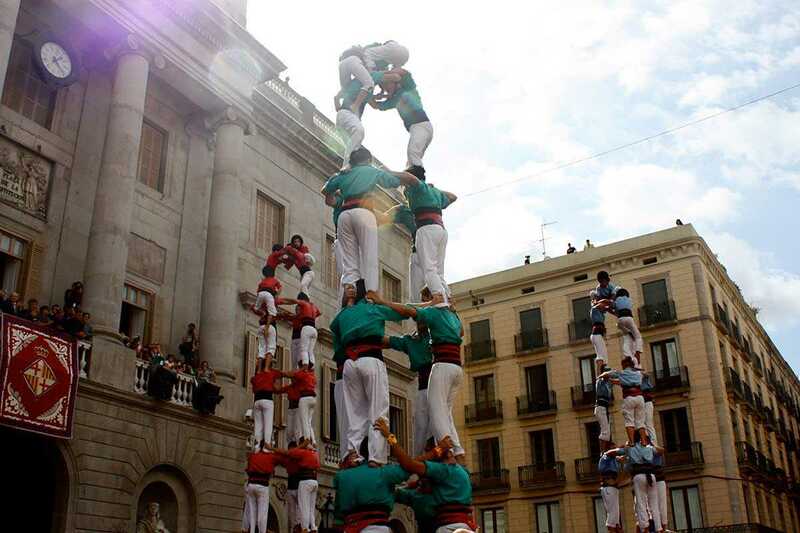 The festival was popularized at the turn of the 20th century with the addition of castellers (human towers), papier maché gegants (giants) and other folk traditions. This year’s highlights include the castellers (September 23th at 12pm and September 24th at 12:30pm at Plaça Sant Jaume), Xambanga de Gegants parade (September 23rd at 6pm from Plaça dels Àngels to Plaça Sant Jaume) and correfoc fire-run (September 23rd at 8:30pm on Via Laietena). The festival is perhaps best known today for its live music. In addition to the folk and traditional music of La Mercè, BAM brings local and international artists playing rock, indie, soul and other contemporary genres to open air stages around the city. Other highlights include projection mappings every evening at Plaça Sant Jaume as well as dance, circus, cabaret and other performances at Parc de la Ciutadella. The park also plays host to the Van Van Market, with street food trucks serving up fare from around the world. It all ends with the spectacular piromusical (fireworks with projections and music) closing ceremony (September 25th at 10pm at Plaça Espanya).